Five Technology is a newcomer to the Chinese Android tablet market. However, they have come up with a handful of models that are rather popular. This is a review of one of their newer products, the ifive X2 Android Tablet. My first impression was that the ifive X2 is an updated version of their earlier model, the ifive X. 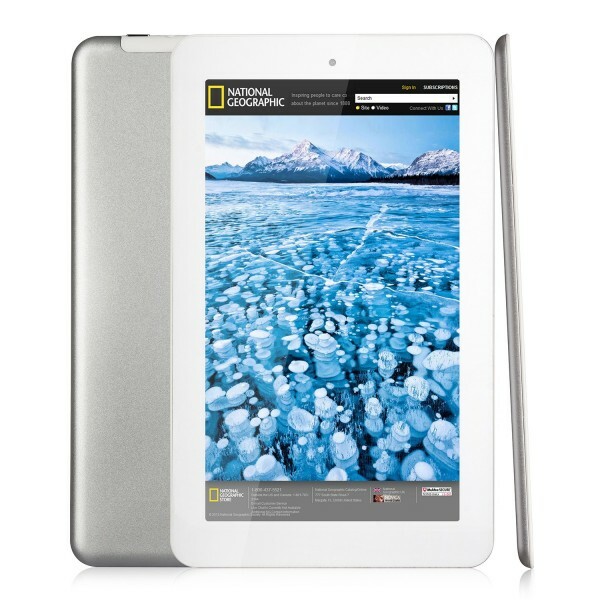 The original ifive X is a dual-core RK3066 based tablet with a 9.7 inch 1024 x 768 display. 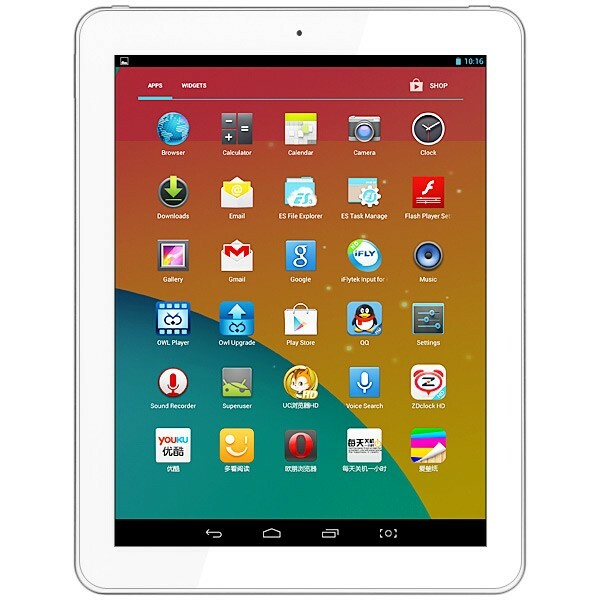 The new ifive X2 Android tablet has an updated quad-core RK3188 chipset and a 8.9 inch 1920 x 1200 resolution retina display. While the two models do share some design similarities but I believe the ifive X2 is more of an expansion of Five Technology’s product line rather than a replacement of the ifive X.
AliExpress has numerous retailers that are offering the ifive X2 at a great price and some even have free international shipping thrown in. The ifive X2 came in a rather colorful box that is rather different form the usual mostly black or white boxes that the Chinese tablet manufacturers seem to prefer. The tablet even comes with a thin but full color starter guide but it is in Chinese. The build quality and overall design of the ifive X2 is quite impressive. The housing is made from Aluminum which adds a bit of heft to the tablet. While many China tablets basically just copy the design of an iPad, the ifive X5 does not. 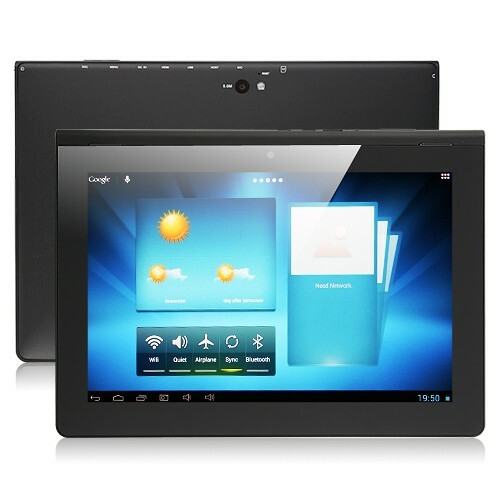 In fact, the styling of the tablet reminds me a bit of the Pipo M7 pro design. Held in landscape mode, there is a front facing camera at the top and right next to it is a ambient light sensor. There aren’t many China tablets that come with a light sensor. The only ones that I can recall are the Pipo M-series of tablets. Located on the top edge are the microphone, a power button and a volume rocker button. On the right edge are the micro USB port, a mini HDMI port and the micro SD expansion slot. On the left hand side is the 3.5 mm audio jack. A pair of stereo speakers are located on the front of the tablet. Last but not least, a rear camera is located at the back. There is no LED flash. How does the ifive X2 compare with other tablets? At the heart of the ifive X2 is a quad-core Rockchip RK3188 ARM Cortex-A9 processor with Mali-400 MP4 GPU. 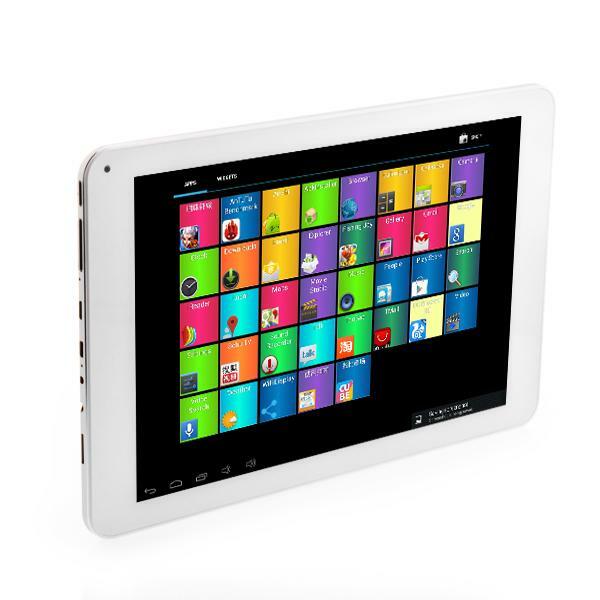 The RK3188 is a popular choice among Chinese tablet manufacturers. It has great performance and it even bests some of the more popular quad-core SoC like the Nvidia Tegra 3 and Samsung Exynos 4412 in benchmark tests. The ifive X2 has a 8.9 inch 1920 x 1200 resolution retina display. The retina classification refers to Apple’s definition of displays with high pixel density where the individual pixels cannot be discerned by the human eye at normal viewing distance. While the display on the X2 has slightly lower pixel density than the Apple iPad, it does adhere to Apple’s definition for a retina display. 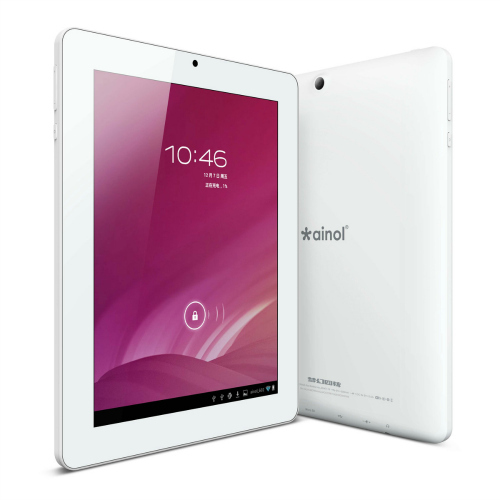 The tablet comes with 2 GB of DDR3 RAM and 16 GB of storage ROM. The 2 GB of RAM is of great help to the overall performance when it comes to multi-tasking or multi-tab browsing. A 32 GB ROM version is also available at a slight premium. Besides WiFi, the ifive X2 also comes equipped with Bluetooth 4.0. Bluetooth 4.0 or BLE (Bluetooth Low Energy) is the latest version of Bluetooth that consumes much less energy compared with older Bluetooth versions when connected to other BLE devices. With BLE, you can connect devices such as Bluetooth headphones or game controllers to the tablet. The ifive X2 comes with dual cameras. It has a front facing 2 MP camera for video calls and another 2 MP camera at the rear. A 7000 mAh capacity battery powers up the ifive X2. 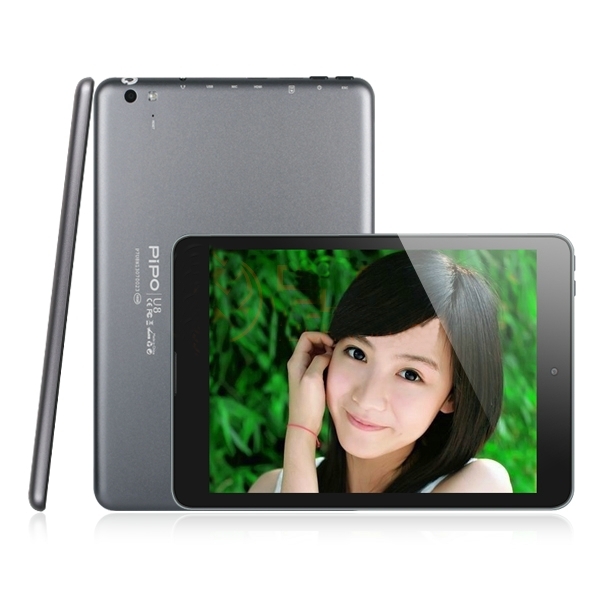 The battery is rated by the manufacturer to last 8.5 hours for watching video with WiFi off or 7 hours of web browsing. The ifive X2 uses an IPS panel for its retina display. The IPS display on the ifive X2 looks gorgeous with high color saturation and brightness plus an almost 180 degrees viewing angle. The display seems to produce a slightly warmer color tone when compared next to an iPad but not really noticeable on its own. However, as with all IPS displays, the screen gets washed out under bright daylight. The ambient light sensor does not seem to be working optimally. When screen brightness is set to auto adjust, the brightness sometimes adjusts for no reason. It can be quite distracting when this happens. In the end, I switched off the auto adjust. The IPS screen is sufficiently bright so I can keep the setting at a minimal level to save battery without relying on the auto adjust. I am not sure if the problem I encountered with the light sensor is due to a software or hardware issue. The quad-core RK3188 chipset is quite powerful but it does come under strain when it is paired with a high resolution retina display. The ifive X2 performs like a charm for watching videos. The included video player although a bit spartan, has no problems playing all the video files I threw at it. If you have a favorite video player, you can always download and install it from the Google Play Store. The stock firmware on the X2 does have pretty good support for the Play Store. As far as I can tell, most apps are supported. The ifive X2 performs great as a web browser as well. To test the capability of the tablet, I opened multiple browser tabs and loaded websites with heavy Flash content and Flash movies. The browser was able to perform fairly smoothly with minimal lag despite the heavy load. However, it is with 3D gaming that the ifive X2 begins to struggle a little because of all the extra pixels it has to push on the screen. Games do load quickly but it is obvious that the frame rate is not very high. I would say that the frame rate for the more 3D intensive games to be hovering around 15 to 20 fps. Not as smooth as I wanted it to be but not exactly unplayable either. This problem is not unique to the X2 as the current crop of quad-core chipsets from the likes of Rockchip and Allwinner may be a little under-powered for large-screen retina class displays. If you are a serious gamer, you are probably better off with a lower resolution tablet for better performance. WiFi performance is above average and I had no problems connecting to my WiFi router with 2 concrete walls and a floor in between. Connection speed is also okay most of the time although I did experienced a couple of dropped connections that required a restart to fix. Besides this issue, I had no problems with WiFi. The dual stereo speakers located on the front bezel are sufficiently loud for both gaming and movie watching. However, the audio does get a little distorted at maximum volume. As usual, there isn’t much to comment about the cameras except that they function. Image quality is barely acceptable in good lighting conditions and you can forget about taking photos under poor lighting. The battery actually lasted about 9 hours when watching videos continuously with WiFi switched off. This actually bests the 8.5 hour rating provided by the manufacturer. On heavy use with full brightness and WiFi switched on, I could get about 4.5 hours of use before the critically low battery warning notification got triggered. Overall, the battery life on the ifive X2 is quite decent. The ifive X2 shares many similarities with the Pipo M7pro. The M7pro only got an average score but I’m going to give the ifive X2 a better score. The ifive X2 has a sub $200 price tag that makes it much more attractive compared to the M7pro that has a price tag that is quite close to the new Nexus 7 tablet. On top of that, the ifive X2 has a bigger capacity battery that actually provides very decent battery life. The tablet is best suited for those who want a medium sized tablet that has a retina screen for web browsing and video watching. The 8.9 inch screen provides a better web browsing experience compared to the smaller 7 inch or even 7.9″ (iPad Mini size) tablets. It is not as portable but it also doesn’t take up as much space as an iPad sized tablet either. where can I find an user guide in English for the ifivex2? There is no official English manual for the iFive X2 as far as I know. However, most Chinese tablets run on stock or almost stock versions of Android. Hi, I bought IFive X2 from Novo7 Tech, Philippines. After barely 7 months, 1/3 of the screen has no display but the touch functionality is still working. It is slight used and handled carefully ( not been dropped ). Novo7 Tech is charging a big amount to repair. I am disappointed on X2 that it seems substandard quality. Do you have any idea if there are problems experienced by other clients? I am looking to contact FNF but could not find their website.. It is always unfortunate to get a defective product or to have a product fail after a few short months. That is why we always advise our readers to buy their tablets from a reliable vendor that has a proven track record for service and warranty claims.